Because failure is never final! Everyone experiences failure in some form or fashion through the span of his or her life; it‘s just a natural part of living. Even though failure occurs across a broad spectrum of human dynamics, its result is often manifested in the private areas of one’s life or in the public sphere of society. Dr. Murray illustrates through personal experiences and Scripture how the potential for human success often lies within the kernel of our most extreme failings. Broken is the story of one man’s failure and how he chose to rise above the circumstances resulting from the disgrace that followed. Using the Bible as a foundation, Dr. Murray identifies Biblical leaders who failed and how they were able to gain wisdom through their personal failures. He infuses his own life experiences with constructive steps and Biblical insights for picking up the pieces after the fall. Although Broken incorporates very practical advice – outlining sequential steps in the process of turning failure into success – it is so much more than just a self-help book. Readers are offered a glimpse into eternity and are encouraged to choose the narrow pathway leading to heaven’s door. Aspects of our human frailty are sensitively exposed, helping both those who find themselves judging others, as well as those being judged, to discern a better method of dealing with failure. The path to restoration is clear and well defined in Scripture for those who choose true repentance and a contrite heart before God. Dr. Murray explains why failure does not have to be final. He also presents the fascinating insight that what we do in secret are seeds planted in our souls – using our private time to build personal integrity can prevent a mindset which encourages failure. Help spread the word and move the conversation forward using the share button below. 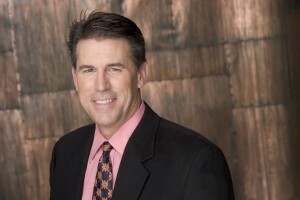 Dr. Paul Murray is an award-winning author, and nationally recognized leader who was featured on the cover of the nationally published B.O.S.S. Magazine. He is an internationally sought after speaker and preacher at leadership conferences, conventions, convocations, global symposiums sponsored by Christian organizations, NGO’s, Government entities, and at special services held by local churches. Seen on Daystar, CTN in the U.S.A, and Rede Globo in Brazil, Dr. Murray’s highlights include speaking for special convening’s at the United Nations in New York, NY, and Nairobi, Kenya, presenter and speaker at global leadership conferences in North and South America, Africa, and Asia; ministering and teaching at national convocations and mega-churches throughout Brazil; and being a special guest speaker for the 2014 “Celebrate America” in the nation’s Capital, Constitution Hall on the 4th of July. 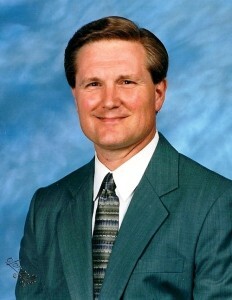 Dr. Paul Murray is an ordained minister serving in ministry for more than twenty-five years. 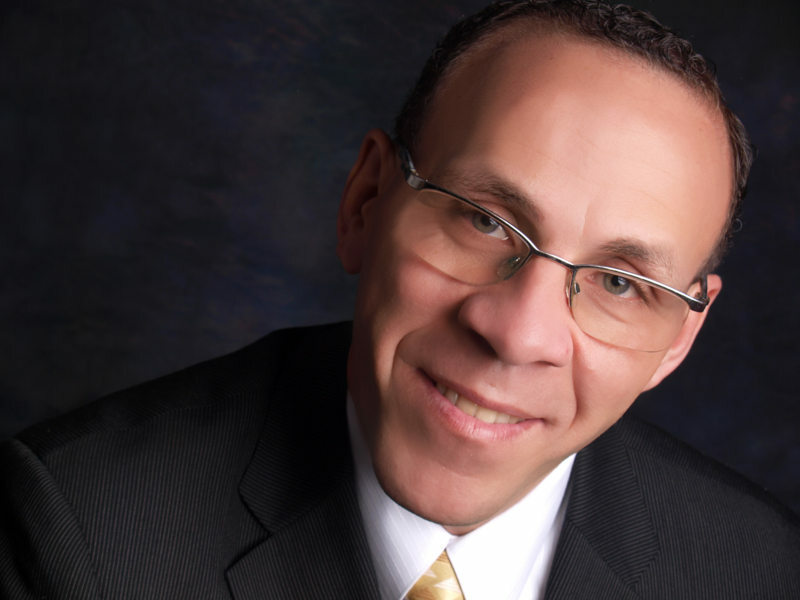 He is the Senior Pastor of the Lighthouse Church and holds his ministerial credentials with the Assemblies of the Lord Jesus Christ (ALJC) and with One Way Churches International (OWCI). 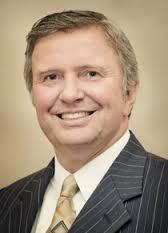 Dr. Murray holds a leadership position within the ALJC where he is a member of the General Board. 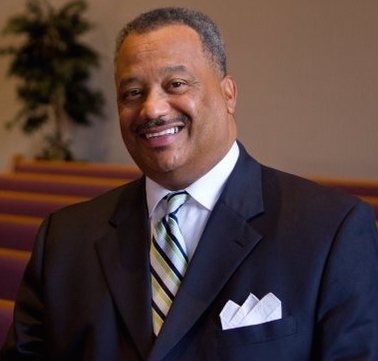 He is the District Superintendent of the New York / Mid-Atlantic Region, which oversees ministers and churches in New York, Pennsylvania, Maryland, New Jersey, Delaware and the District of Columbia. In addition, he has established six church works under his own ministry and they are located in Maryland, Pennsylvania, New Hampshire, Georgia, and internationally in Nairobi, Kenya and Oslo, Norway. 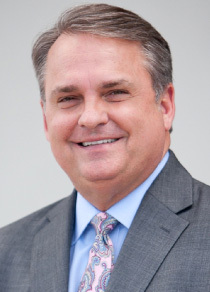 Dr. Murray’s ministry and spiritual covering for his outreach efforts are blessed by his affiliation with One Way Churches International (OWCI) where he has served as their Director of World Missions. In his passion to spiritually help others and as a result of his calling and anointing, Dr. Murray speaks at ministry conferences around the world. 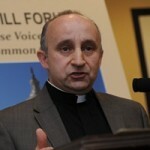 As an advocate for moral and innovative leadership, Dr. Murray serves as the National Co-Chairman and Executive Director of the Coalition for American Renewal, a nationwide network comprised of leaders of faith who have partnered together to re-awaken the founding values and principles that made America great. A former Peace Corps Volunteer to the country of Tunisia, Dr. Murray has built upon his years of community service and volunteerism and infused in his work ethic into his strong Christian faith to exemplify the qualities of Servant Leadership. 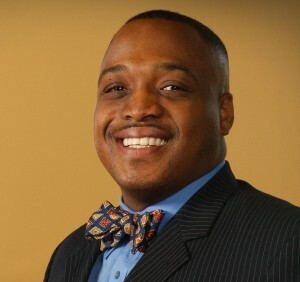 He holds his Doctoral Degree in Theology from Howard University’s School of Divinity; a Master of Divinity in Pastoral Counseling and a Master of Art in Religion from Liberty Baptist Theological Seminary; and an undergraduate degree from the University of Phoenix where he was awarded a Bachelor of Science in Health Care Services. Dr. Murray is a published writer, where many of his articles have been profiled in the “Apostolic Witness,” an international Christian magazine. He serves on several national, regional and local non-profit boards, and has received numerous awards for his community and ministry efforts. Have you ever felt like you want to hit the restart button of your life? Have you ever done something that you are ashamed of and will do anything to keep it covered up? Have or do you feel like you are living a lie and pray that it will never come to light? If your life were an open book, who would be hurt, which morals would be stretched or what broken laws would be revealed? Operating in the shadows of secrets is a debilitating, life strangling, and joy squelching way to exist. This is not the way God wants you or me or anyone to live. God wants us to live in the light of truth, to experience the grace of his forgiveness, and to drink from his cup so that we will never thirst again. He wants us to enjoy an abundant life. This will only happen when we become cleansed from our past mistakes and step out of the shadows and into the light. In order for us to be able to do this there are certain steps we need to take. It is not easy. It is painful. There are prices to be paid and changes to be made but in the end it is worth every penny and every tear that it costs. Living in darkness leads to death. Living in the light leads to life. Dr. Paul Murray will show you the secrets of how to leave the dark life and enter the marvelous light of Christ. Dr. Paul Murray and I have been friends for many years. 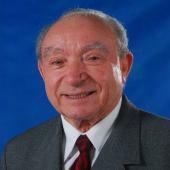 I met him through the Global Peace Foundation in 2008 in Brasília, Brazil. While attending the GPF conference I met many people who I have grown to love and admire over the years. Paul is at the top of that list. His open and honest spirit is heart warming and endearing. I have watched him raise a family, grind his way through a doctoral program at Howard University, pastor a church, lead and grow the Coalition for American Renewal, travel around the world for international peace, and now, he has written this book. The miracle of Broken is evident in the way the Holy Spirit has guided Dr. Murray to write in a manner that draws the shattered lives of the fallen into the mighty presence of God. This book explains why I love and admire Paul so much. It explains how he can be so down to earth, real and approachable. He openly shares his failed past and how he got through those deep lonely dark valleys. He explains his own journey and uses it as a roadmap for you. Nothing is lost throughout these pages: From the call to repentance to the need for accountability; from the promised blessings of God to the gift of a restored life in Christ. As you continue your life path, allow the words that Dr. Murray shares to guide you and light up your life. You will be glad you did. It will make all the difference in the world. Step out in faith today. The first step is easy. Read the book. The second step will be much more difficult, but not impossible. Just remember always that God loves you just the way you are with all your flaws and failures. He brought you to this book because He wants to help you help yourself. It begins today. It begins now. “Isaiah said of the Lord that, “a bruised reed he will not break.” Sadly, God’s persuasion is not always the same as man’s. For a multitude of reasons, restoration is not always the preferred action of people, although it is a sign of the truly spiritual, according to Paul in Galatians (“Brethren, if a man be overtaken in a fault, ye which are spiritual, restore such an one . . .”). Contrary to what I have heard ministers espouse through the years, people are not replaceable. Someone else cannot do what you can do because your sphere of influence is uniquely yours. Therefore the need for and God’s desire to restore. Truly, God does not want to replace people; He wants to restore them. Dr. Murray presents to us an incredible book on an extremely important topic. With rare transparency and candor, he skillfully uses the Bible to reveal God’s heart to restore and why it is necessary. 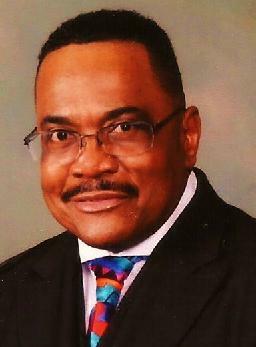 Dr. Murray also provides practical steps to help the fallen to be restored. He provides needed guidelines to help the broken pick up the pieces and to use their points of brokenness as strengths, for themselves and for others. Dr. Murray’s tale is very personal and inspiring. His “fall” did not precipitate his demise, but rather it helped to form him into the important and influential voice he is in the Christian community today. We have all fallen. We have all been broken. Some are more public than others, but regardless it is a common human experience. May we as the 21st century church depart from our oft-engrained Pharisaical ways and reach a hand down to each other. Otherwise, sadly, the church dies one broken person at a time. Thank you Dr. Murray for convicting me, helping me, and encouraging me to seek the true heart of God for restoration. Read this book and apply its precepts. Don’t break what God refuses to break. Become a Christian in action as well as in word”. Broken – Hands down- a FIVE star read for ALL leadership!! Dr. Murray’s step-by-step process from a broken ministry to a triumphant life of grace is a must read for all ministers. Understanding Biblical restoration is vital for not only the broken, but the pastor or leader who is counseling the broken. As leader of the Assemblies of the Lord Jesus Christ, I have witnessed Dr. Murray’s wise leadership on our general board and highly recommend his practical step-by-step guide to restoration. The Bible is full of Believers who have been “Broken” at one time or another. In like manner churches across the world are full with Believers who have been “Broken”. Therefore the question that needs to be addressed is not that we as Believers make mistakes, but what do we do after the mistake is made? Well, your answer is right in your hands. In this powerful and life-changing book “Broken”, my friend, Dr. Paul Murray will help you to get on the pathway of restoration. This book is rooted in Scripture, practical in it’s game plan, and proven in the life of the author. Therefore I challenge each of you to find yourself a comfortable seat, open your heart, begin reading this book, and get RESTORED!! Written with simplicity and honesty, Broken addresses failure in a practical and transparent manner as Dr. Murray intertwines his personal experience with powerful Biblical illustrations. This book is made complete with practical steps to guide one down their road to restoration. You’ll never be the same! Dr. Paul Murray identifies with those who have failed. Broken is the state in which Dr. Murray presents his own history and personal failure and then builds a foundation for restoration through Scripture. I have known Dr. Murray for many years and have traveled the world with him. He has the heart of a servant, always concerned with helping his fellow man. An anointed prophet, his ministry has been a tremendous blessing at our national conventions, Pastoral leadership sessions, and in many of our churches throughout Brazil and the U.S.A. “Broken” illustrates how God is a God of second chances. It is written in a manner that magnifies God. And with the spirit of David, Dr. Murray, ‘A man after God’s own heart,’ explains how you too can make it through. It’s time to pick up the pieces of your broken life! In a world where people habitually make excuses for sinful behavior, Dr. Murray is refreshingly candid as he weaves a tapestry of God’s redemptive grace. In an hour when many believers are stymied by the pain of past failures, Broken exposes the cruel darkness of condemnation while at the same time embracing the light of Divine hope and forgiveness. No one can escape facing challenging moments in life where seemingly nothing makes any sense. Directions are blocked, visions are blurred, and all hope appears gone. I recommend reading Dr. Murray’s brilliant, yet practical approach on how to regain your spiritual and psychological balance. “Broken” will assist you to affirm who you are and establish what you need to do to become WHOLE again–read “BROKEN”!!! God has a plan for those who fail. If not, the failures of Biblical leaders such as David, Elijah and others would not grace the pages of Scripture. Dr. Paul Murray takes these, and other examples and shows the heart of God for redemption in the matters of everyday life, and sounds a note of hope for those “Broken” by thought, word and deed. In an age where so much of popular theology focuses on “success”, Dr. Murray’s book is a welcome balance to our prosperity culture. I would highly recommend this book to those who are dealing with failure and for the church as a whole. 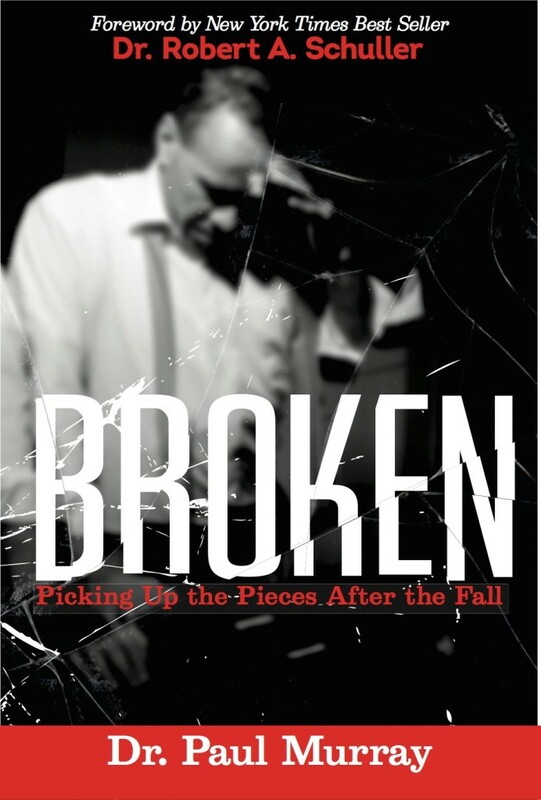 Broken illustrates the power of God’s grace, the necessity of restoration, and the privilege to aide in such a process. The testimony comes after all the pieces are picked up! This important book focuses on the most significant lesson along the journey to becoming both fully human & fully Christian: how to find restoration — when failure inevitably meets us on the road. Out of the darkness of his own failure, Dr. Murray has written a personal testimony that has the bright ring of humble truth, a guidepost to all of us who, have like him, dwelt in the dark valley of failure. Drawing from his own life and rooted in Scripture, Broken offers us a deeply spiritual guidebook that will appeal to all those who seek to begin again after failure. Dr. Murray shows us not simply that it is possible — but how to do it well. Bravo!